Needlework and craft patterns excerpted from nine years of the Godey's Ladies Book periodical. 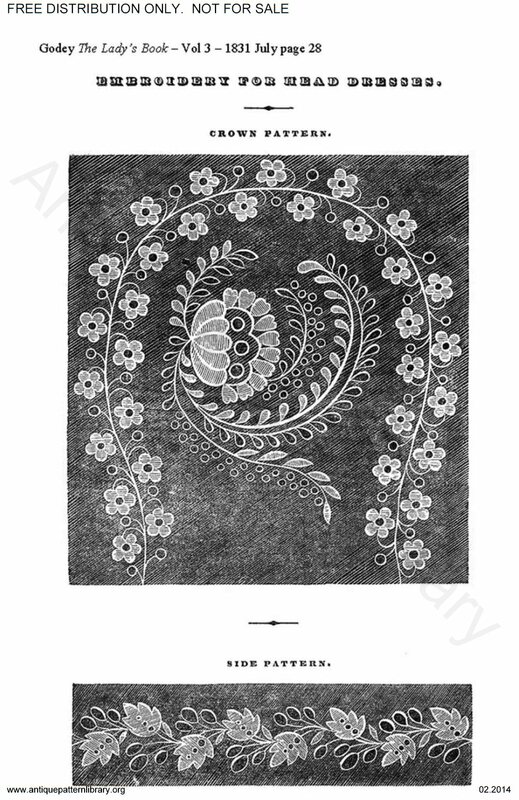 Many forms of freehand surface, cutwork embroidery for use on clothing and household linen; needle lace; embroidery on net; metal thread embroidery; sculpting in plaster, wax and clay; decorative painting; patterns for embroidered hats and hat trims; paper crafts; lampshades and glass boxes; pincusions and needle books; handkerchiefs; patchwork quilting; and more. Scans donated by Hope Wright, edited by Hope Wright and Judith Adele..